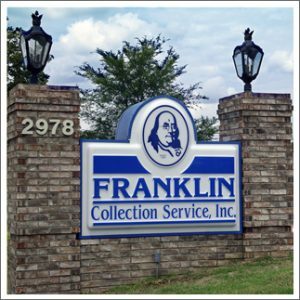 We provide all mail and phone collection services. We are licensed and bonded in the United States. FCS has developed a unique system for collecting, which along with studying the most current developments in the field has proven to be the key to our success. This combination gives FCS the professional edge that makes us ideal for any industry whether it be one account or a large number of accounts. The FCS system is capable of accepting accounts manually or through various electronic processes. Our full-time, on site, programmers enable us to make changes or corrections as needed on our system to meet the needs of your system. Contact us to discuss your specific needs. A major part of handling your receivables involves contacting debtors by telephone. In fact, FCS handles most of its collections by phone, providing a comfortable, low pressure setting for debtors. All information is immediately entered into our system, eliminating careless notes and excessive paperwork. To ensure the proper handling of each call to a debtor, ALL CALLS ARE RECORDED AND MONITORED by management. You, as our client may review any call at any time. This also assures that everything we do is in adherence to the Fair Debt Collection Practices Act.